In this month’s iOS music app roundup we look at: the SyncMix MIDI / WYST / CV app, Apollo MIDI Over Bluetooth, iMaschine update 1.1, iMPC Pro, and Brian Eno and Karl Hyde’s augmented reality application to accompany their recent music outing on Warp Records. Klevgränd Produktion AB have developed a new app called SyncMix for the iPad and iPhone that allows you to Sync MISI, WYST, and CV through your phone’s data, audio, and wireless connections. SyncMix is available for US $3.99 in the App Store. After a series of videos highlighting the powerful features of Akai’s iMPC Pro application, the company has released the software with a price of $20, discounted to $12 as an introductory offer. iMPC Pro is available in the App Store. Read more about this app on the Akai Pro site. Native Instruments have released an update to iMaschine that now adds native iPad support as well as new sounds, sampling from iTunes, and better editing features. The user interface has also been updated to enhance two-handed operation on the iPad. iMaschine is $4.99 at the App Store. Producer Jamie Lidell joins the Q-Kidz dance troupe for a house workout with iMaschine on the iPad. Voxen is a new polyphonic “vocal synthesizer” for the iPad from developers Mod Phon Ltd. The company explains,”Voxen is *not* a text-to-speech system. You cannot provide it with lyrics and expect it to sing them. Voxen is a synthesizer that acoustically simulates a glottis and vocal tract, allowing you to manually control the sound. It synthesizes sounds, not words. Because a human voice is more complex than nearly any other musical instrument, a synthesizer of human voices is also very complex. To control one can require the real-time manipulation and coordination of dozens of separate parameters. If you are looking for something that creates a musical performance from a piece of sheet music and some lyrics on a scrap of paper, hire a good vocalist. On the other hand, if you are looking some new and different sounds, use Voxen.” Voxen is available now for US $15.99 in the App Store. 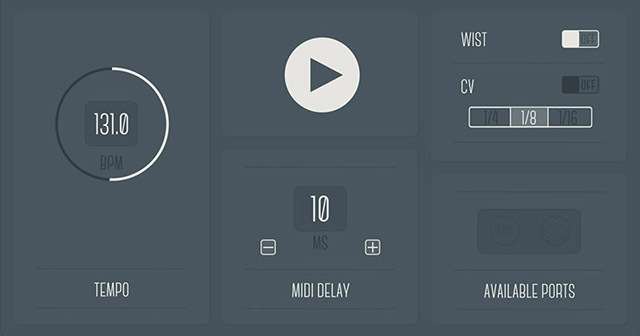 Developers Secret Base Design have recently released Apollo MIDI over Bluetooth, an app that provides MIDI connections for controllers, synthesizers, and sequencers, connecting a pair of iOS devices, or an iOS device and a Mac. The app is currently available for discounted price of $.99. 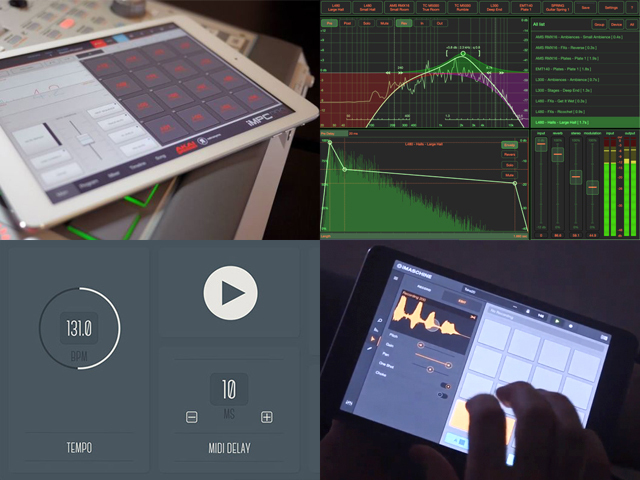 If you follow our iOS coverage, you probably know that we’re big fans of the iConnectMIDI line of products. In this video Jim McLauren shows how to route audio through the iConnectMIDI 2+. The Eno • Hyde app is a collaboration between musicians Brian Eno (Roxy Music, U2) and Karl Hyde (Underworld) that works as an augmented reality portal to go with their new Someday World album on Warp.